The court fumed at Additional Solicitor General (ASG) Pinky Anand's submission on residents of Sonia Vihar objecting to a landfill site, saying the people had every right to question the decision and and even went on to say that the civic body should dump the waste on the Raj Niwas Marg, where Delhi Lieutenant Governor's official residence is located, instead of treating people like this. “How do people live? Will there be any person alive in Delhi in such a situation? 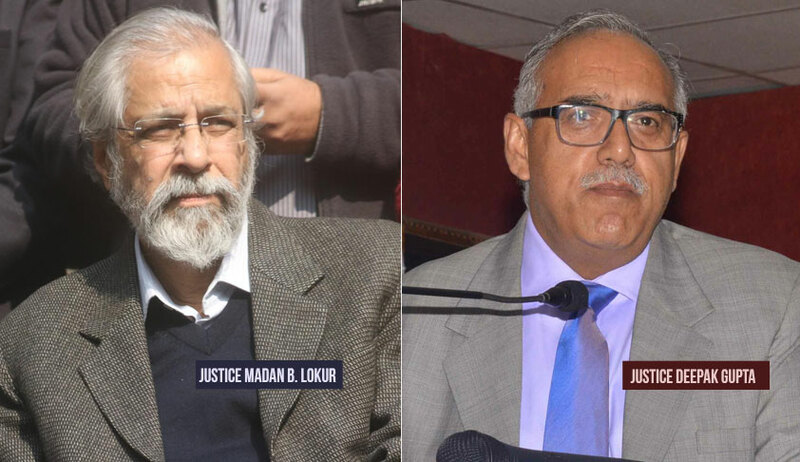 a bench of justices Madan B Lokur and Deepak Gupta asked lawyers for civic agencies – municipal corporations, Delhi government and the centre. It wanted immediate plans to be submitted on segregation of household waste. It sought details from authorities on pilot project for segregation of household waste launched in some areas like Defence Colony, Green Park and Maharani Bagh here and also about the problems being faced by the agencies in its implementation. Days after serious charges leveled by a bench headed by Justice Madan B Lokur that he claimed to be a “superman” but did nothing to address the worsening garbage disposal problem in Delhi, Lt Governor Anil Baijal had told SC that it was difficult to find a solution overnight as the overflowing landfill sites was a “legacy problem of six decades”. The problem of garbage mounds is a legacy problem of six decades and multiple issues as highlighted have made it a challenging task. As a result of intensive and continuous monitoring by the Lt. Governor through site visits and regular meetings and the directions and guidance given, work is already underway to address these problems in a time-bound manner in a comprehensive and sustainable way”, an affidavit filed on behalf of the LG recently said. He said the action plan aims at gradual closing of the sites, enhancing the capacity of waste-to-energy plants and landscaping the mounds to make it scientifically safe and visually better. He assured that no untreated garbage will be dumped at the landfill sites after 2020. On July 13 the bench had slammed the LG for doing precious little to deal with Delhi’s worsening garbage disposal crisis and not taking any solid steps to address the issue of overflowing landfill sites and inability to find alternative sites. The SC came down hard on the lieutenant governor after amicus curiae (senior lawyer appointed to assist the court) Colin Gonsalves informed that no one from Baijal’s office attended the last three meetings to discuss ways to clean up the city’s three landfill sites situated at Ghazipur (East Delhi), Bhalswa (North) and Okhla (South).